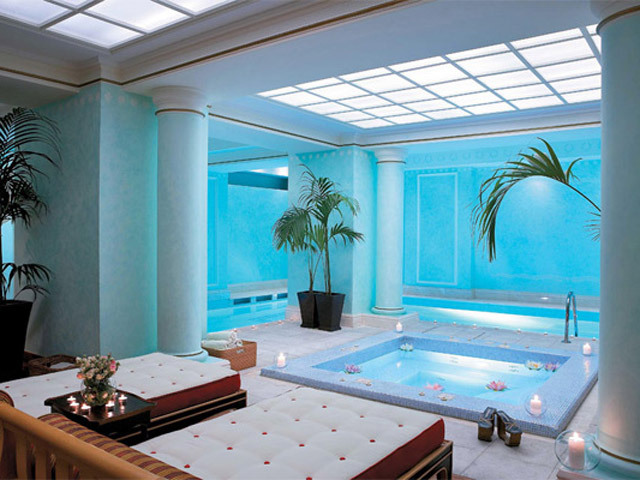 Guests can also unwind in the indoor swimming pool. 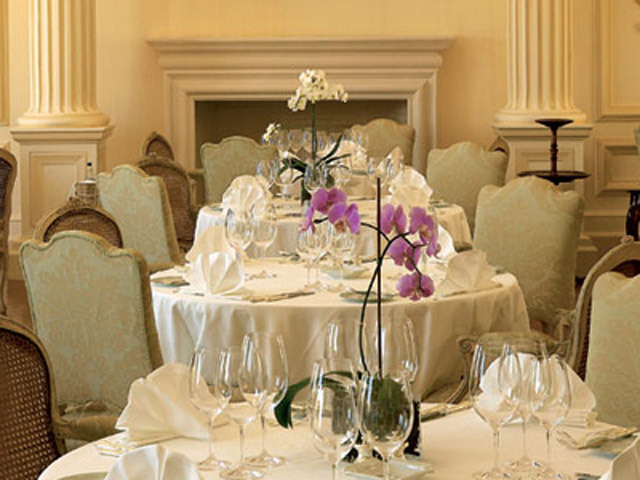 The King George Palace offers 78 guest rooms, 23 suites, and 1 Royal Penthouse Suite. 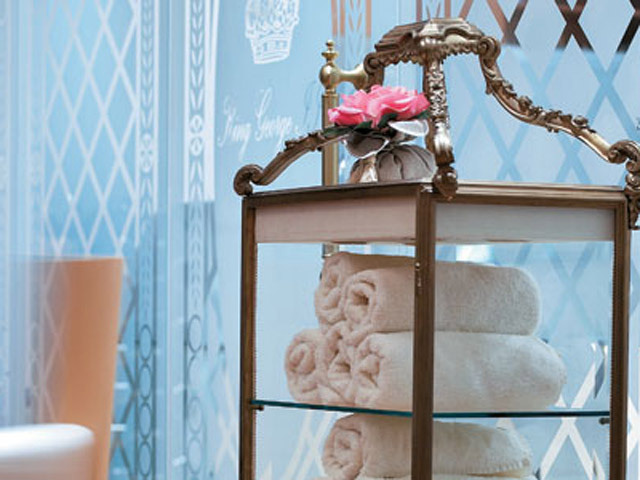 Every guest room and suite is individually designed and decorated for guests who seek exclusive accommodations to match their exacting standards. 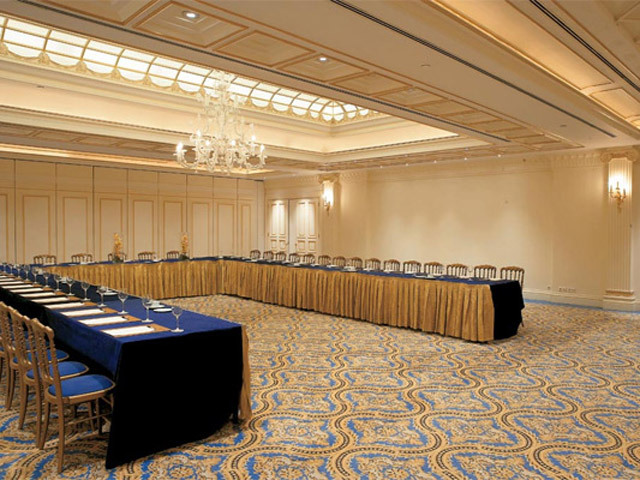 Business Services in the Room include: multi-line telephone, voice mail, speakerphone, all-news cable network, laptop upon request, and high-speed Internet access. 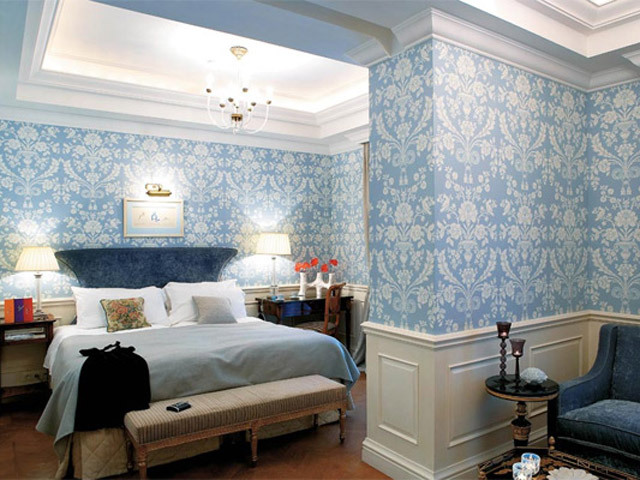 Superior Guest Rooms Luxuriously furnished rooms overlooking the Hotel’s courtyard with its flowering plants and bubbling fountain. 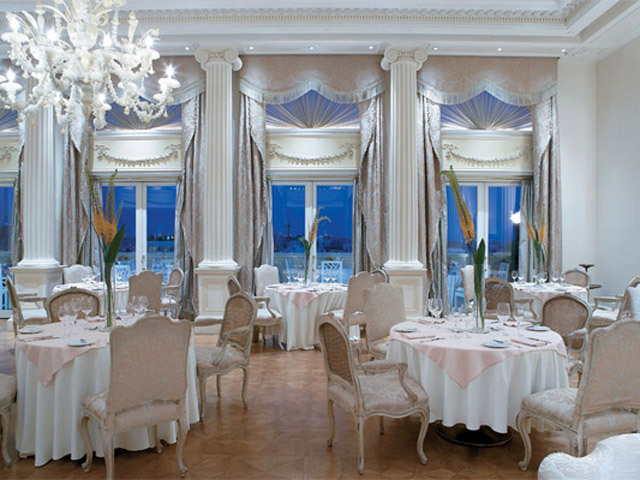 These stylishly appointed rooms offer an average size of 29 square meters, have their own personal touches and unique interior details representing a turn-of-the century period. Premier Guest Rooms Comfortably and uniquely appointed rooms that are ideal for the business traveller. Most of them have in display rare collection of antiques. 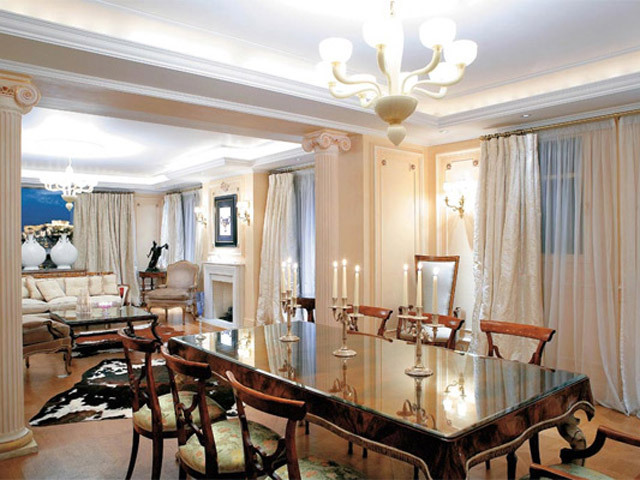 Spacious working desks with hand made marqueterie and hand painted period armchairs. 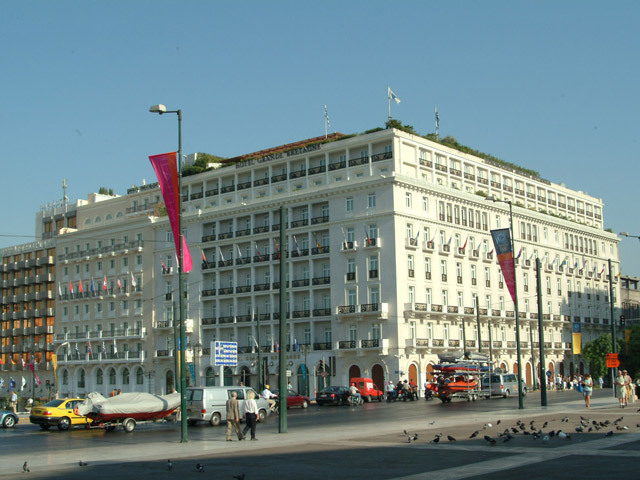 Most of these rooms overlook the hotel’s courtyard and inner garden, while some offer views of the Parliament House and the famous Constitution Square of Athens and the Acropolis. 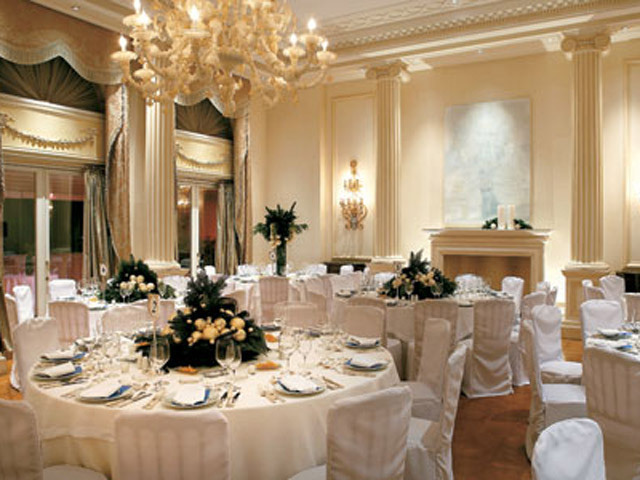 These rooms vary in size (an average of 29 square meters). 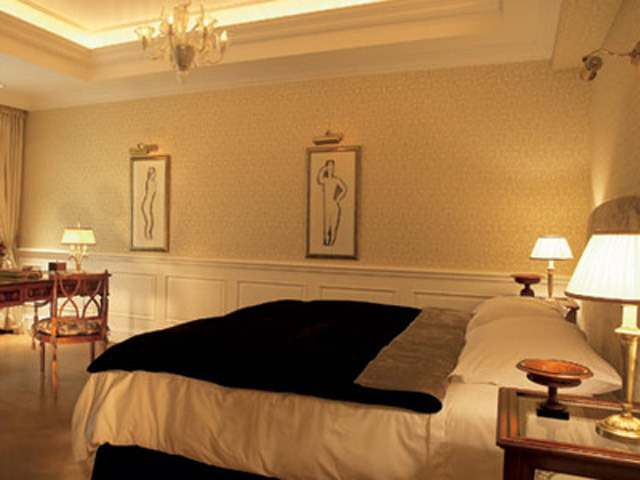 Deluxe Guest Rooms Elegantly appointed rooms that are located throughout the hotel and offer increased living space (aproximately 30 to 45 square meters , some with separate parlour, spacious working area and sitting areas with rare French antique furnishings. 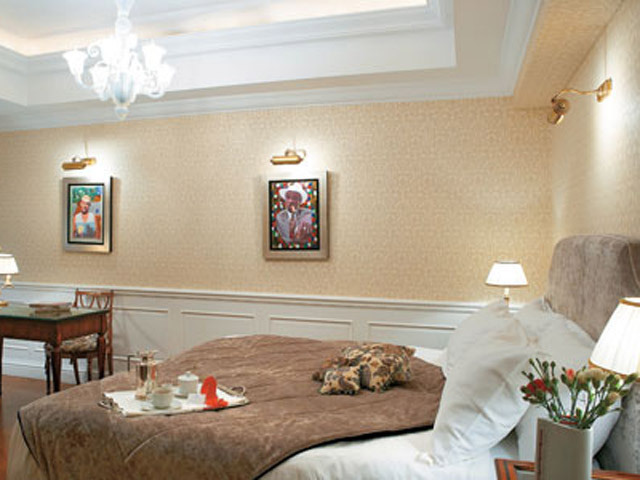 Connecting deluxe rooms are also available. 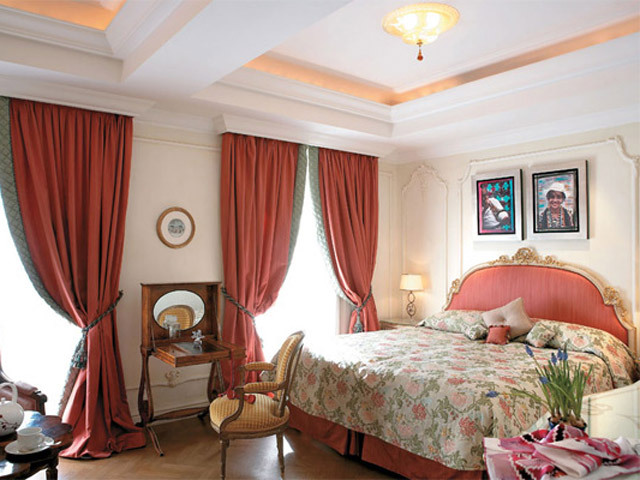 Deluxe Guest Rooms, Acropolis View Offering the most privileged and gracious room accommodation in the hotel with luxurious French style interiors, impressive decorative wall moulding and ceiling medallions, rare antique furnishings, original artwork, custom upholstery fabrics in raw silk and satin-fringed drapes. 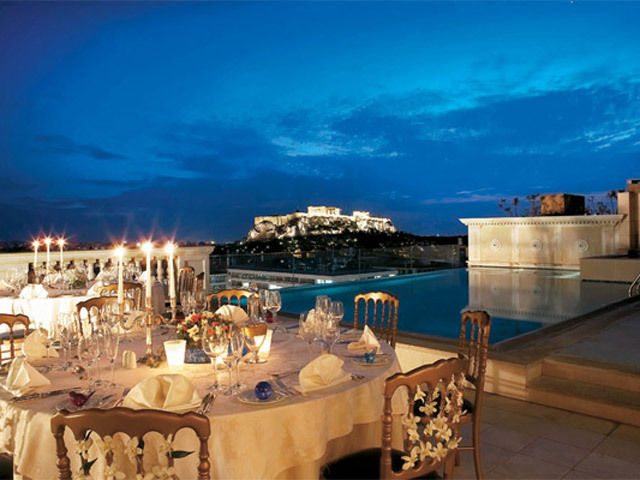 These rooms take advantage of spectacular views of the Acropolis with two large balcony doors and 35 square meters of space. 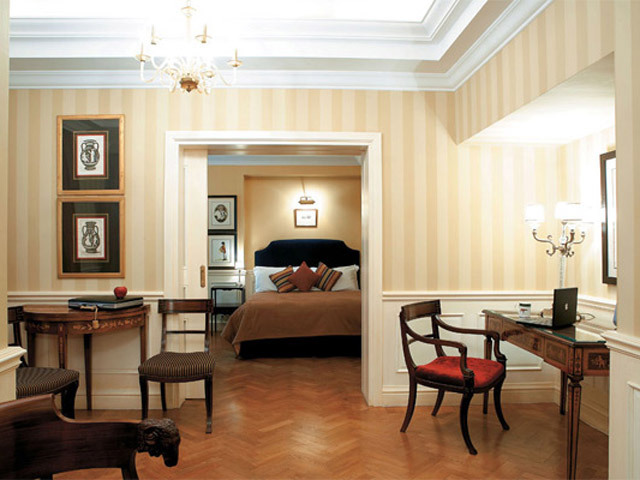 Junior Suites, Syntagma View Elegantly appointed suites, with interiors inspired by the Italian turn-of-the century “King George II” era, some with decorative fireplace and sitting area which offers views of the Parliament House and the Constitution (Syntagma) Square of Athens. 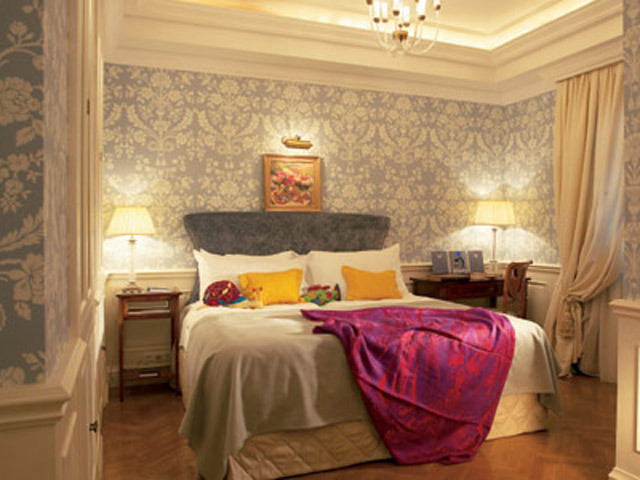 The 42 square meters of their space can be converted into two-bedroom suites by connecting to a Premier Guestroom. 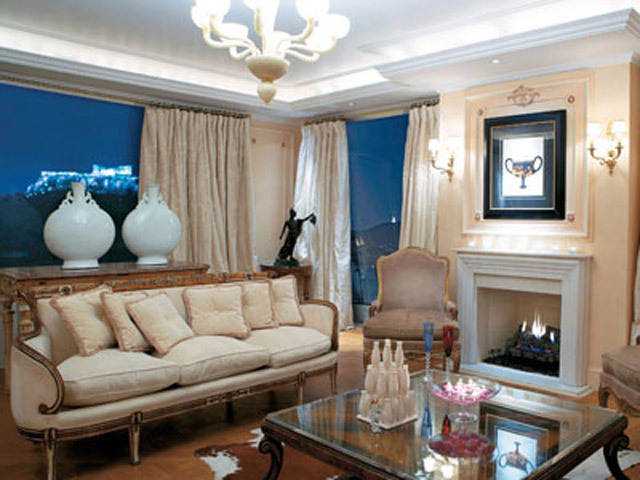 Junior Suites, Acropolis View Luxurious one bedroom suites facing the Acropolis, with interiors inspired by the Italian turn-of-the century “King George II” era, some with decorative fireplace and sitting area with silk brocade sofas. 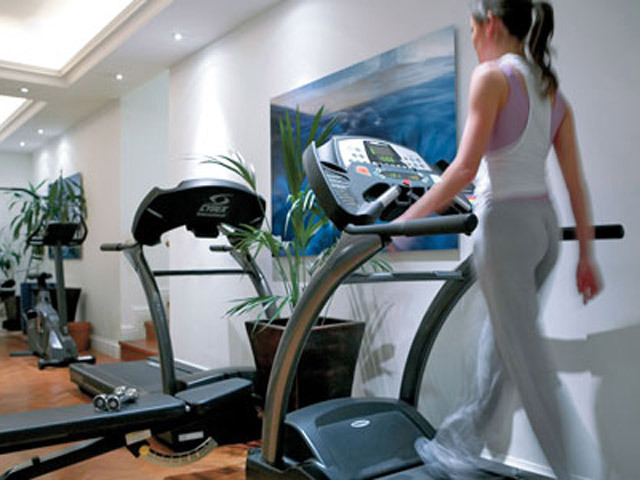 They can be converted into two-bedroom suites by connecting to a Premier Guestroom. Deluxe Suites The luxuriously appointed Deluxe Suites, ideal for the business traveller, overlook the hotel’s courtyard and inner garden. 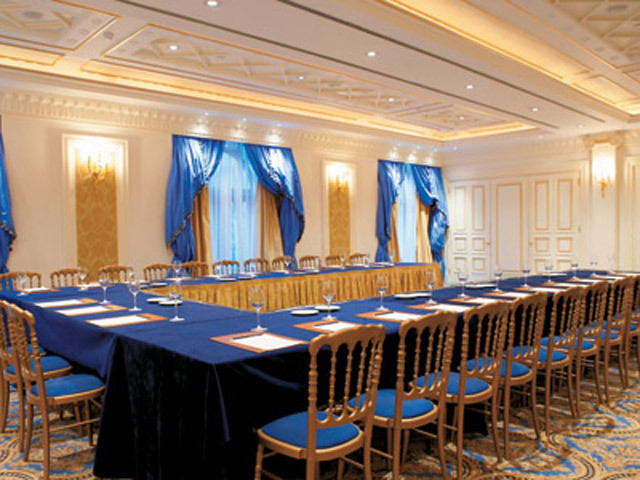 Carefully selected luxurious furniture provides unique ambience. 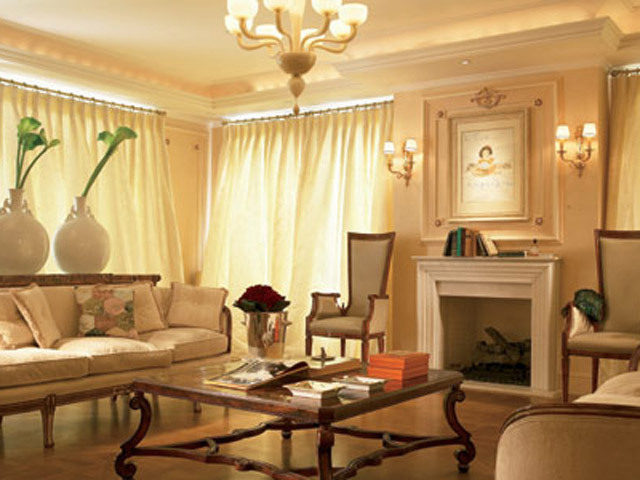 All suites feature a separate living room oversized writing desk and separate Bedroom. 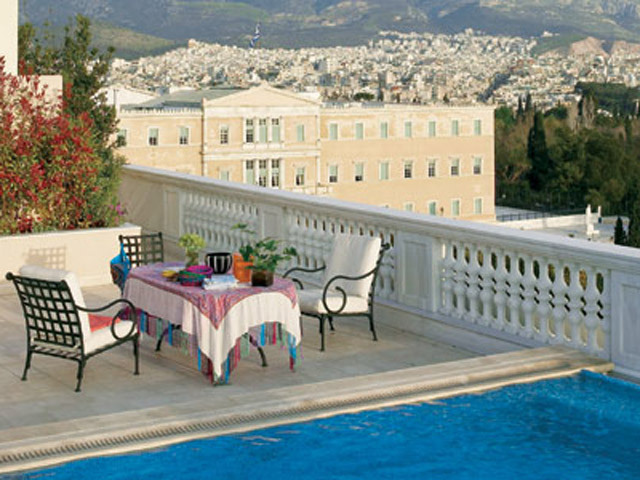 Acropolis Deluxe Suite Overlooking the Acropolis and city of Athens, the spacious 70 square meters. 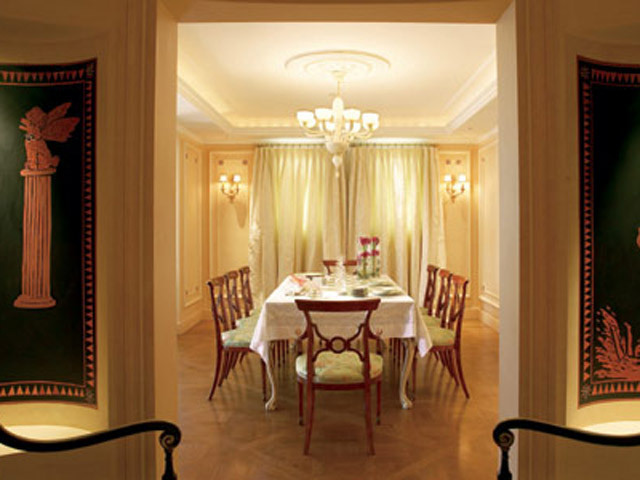 Suite features one bedroom, one living room and two bathrooms. 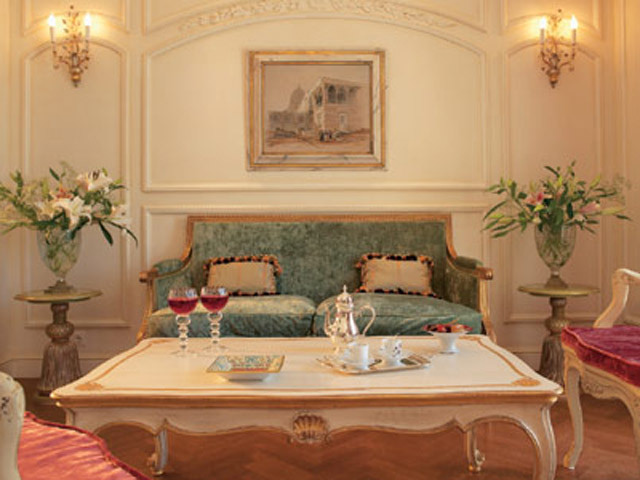 The Suite is decorated with period furniture, antiques and original art. Plasma TV and B & O hi-fi equipment. 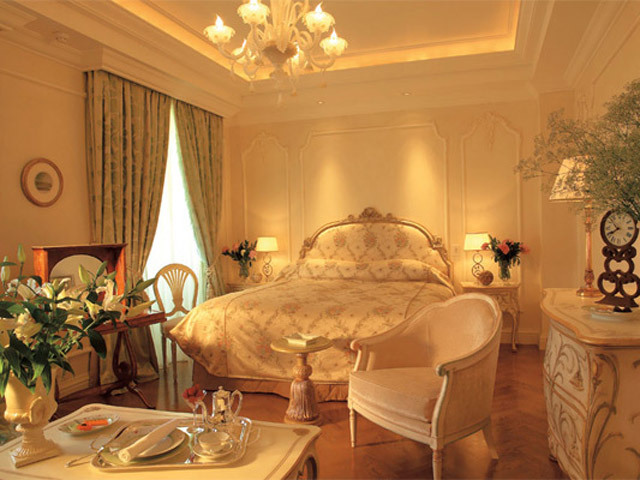 King George Suite The King George Suite is a luxurious two bedrooms suite (98 square meters). 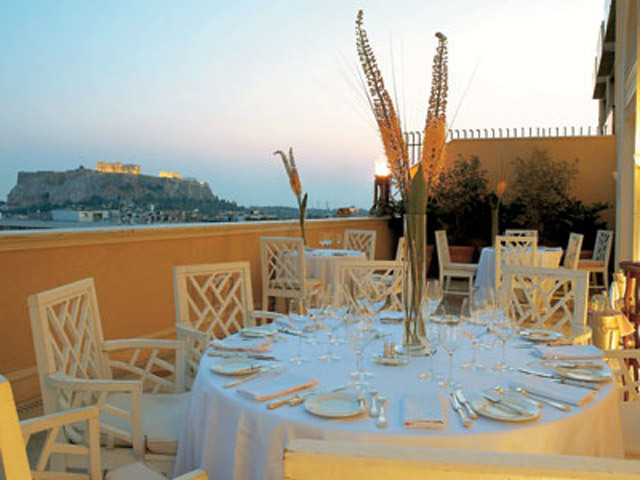 Located on the 8th floor at the front side of the hotel it offers stunning views of the Acropolis, the House of Parliament and the city of Athens. This suite consists of two well-appointed bedrooms, a spacious living room with dining area and can be used also for private entertaining. 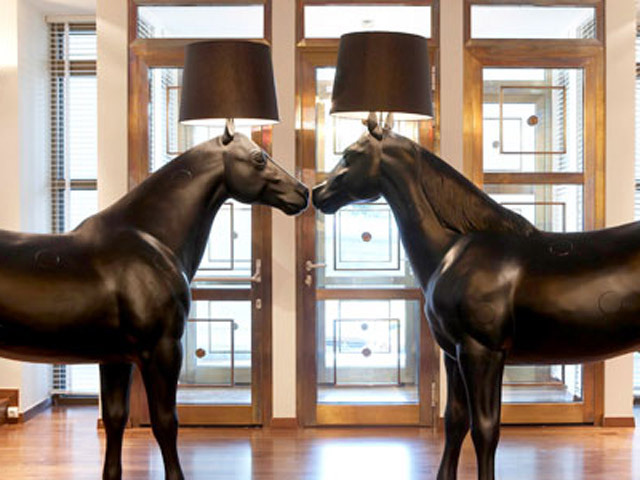 Rare antique furnishings, original artwork and fine fabrics create a rich residential atmosphere. 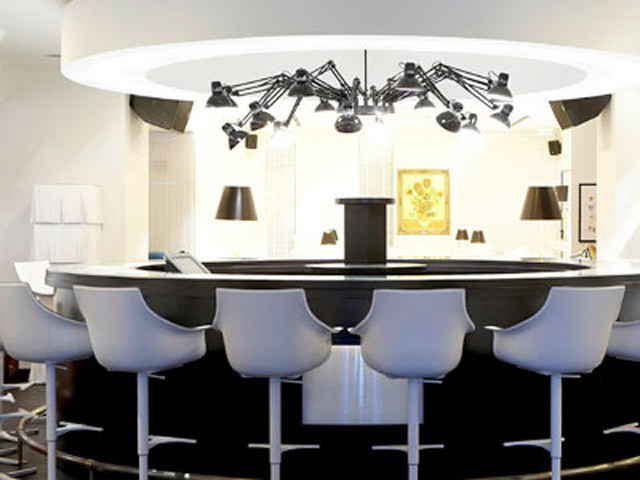 Royal Penthouse Suite The impressive Royal Penthouse Suite redefines the concept of luxury. 350 sq.m. 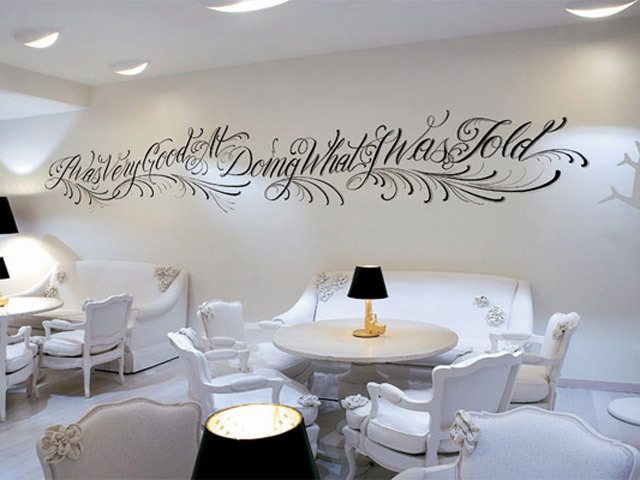 occupying the entire 9th floor with wall paintings by Konstantin Kakanias, create the perfect place for you to host a reception for 80 of your closest friends. 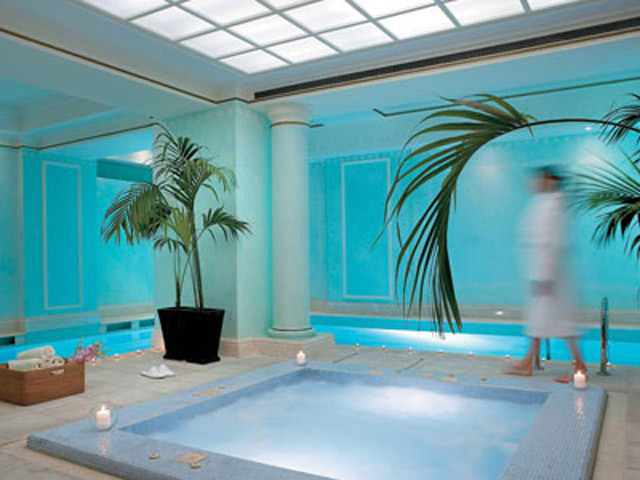 In such a lavish setting pravate elevator, Jacuzzi, separate entrances for guests and staff are considered standard amenities. 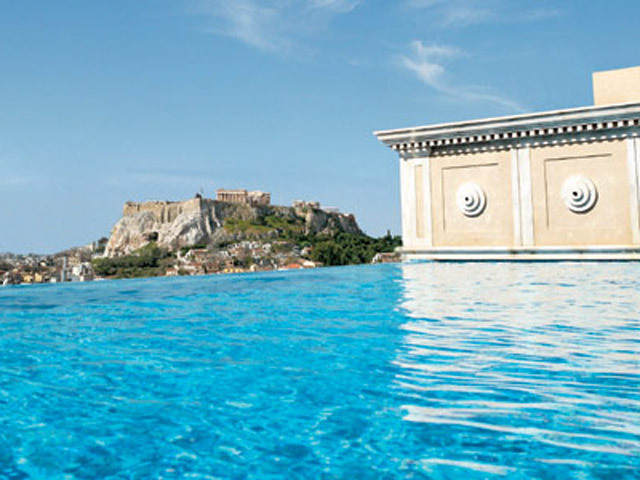 The piece de resistance: a private terrace with an unsurpassed view of the city, from the Parthenon to the Panathenaic Stadium, with a jacuzzi and a private swimming pool hand-laid with mosaic tiles. 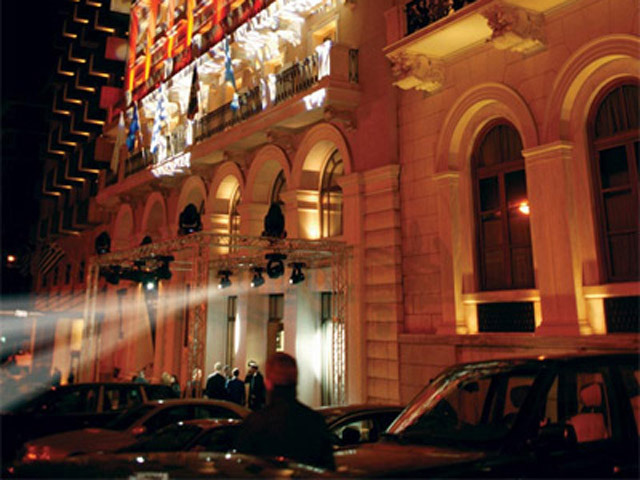 Open All Year... A legend since 1936, the King George has been home to kings, princes, presidents and Athenian alike. 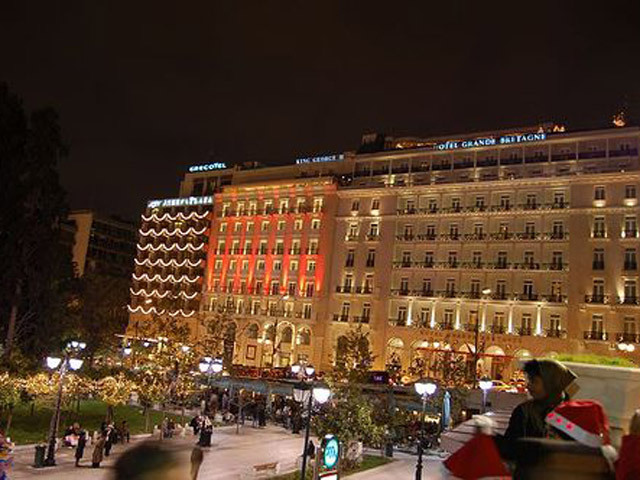 Ideally located on Constitution (Syntagma) square is in the heart of business and shopping district. 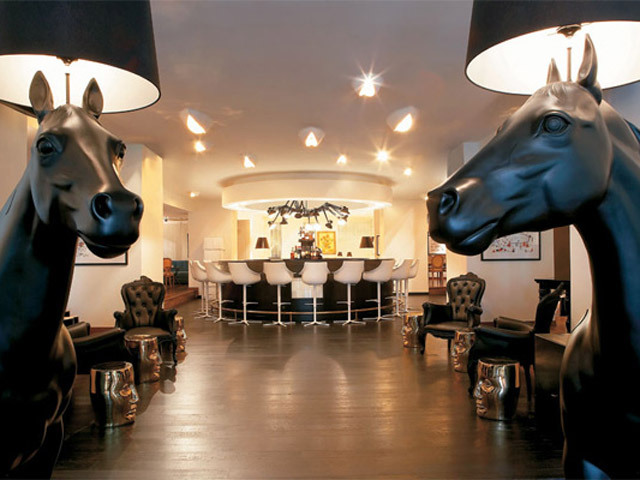 Member of the Leading Hotels of the World, combines the grace & stature of a historic landmark with ultra-modern amenities and personal service. 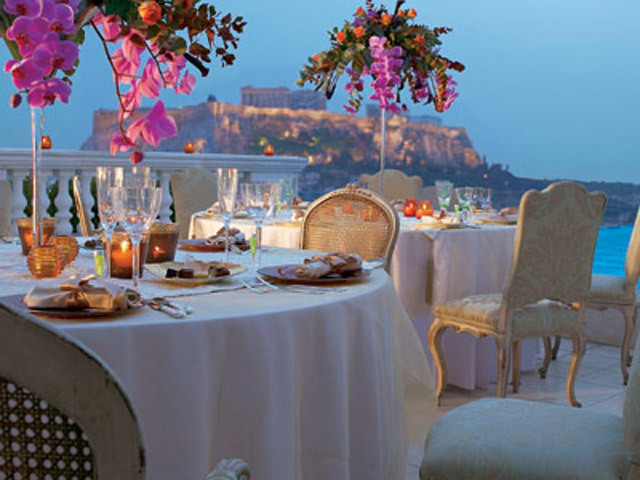 Enjoy the breathtaking Acropolis view from Tudor Hall gourmet restaurant.